Jennifer grew up in North Pole where she attended North Pole High School. She did her undergraduate studies at the University of Wisconsin in Madison where she graduated in 1997 with a BS degree in Kinesiology/Exercise Physiology. She continued on with graduate school at the University of Wisconsin and graduated in 1999 with a Masters in Physical Therapy. After graduation Jen moved west to Silverdale, Washington where she started her first job at Kitsap Physical Therapy and Sports Clinic. The majority of her patient load included a variety of orthopedic and sports injuries as well as treating some vestibular disorders. In 2008 she returned back home to Fairbanks to raise her family and continue her career. 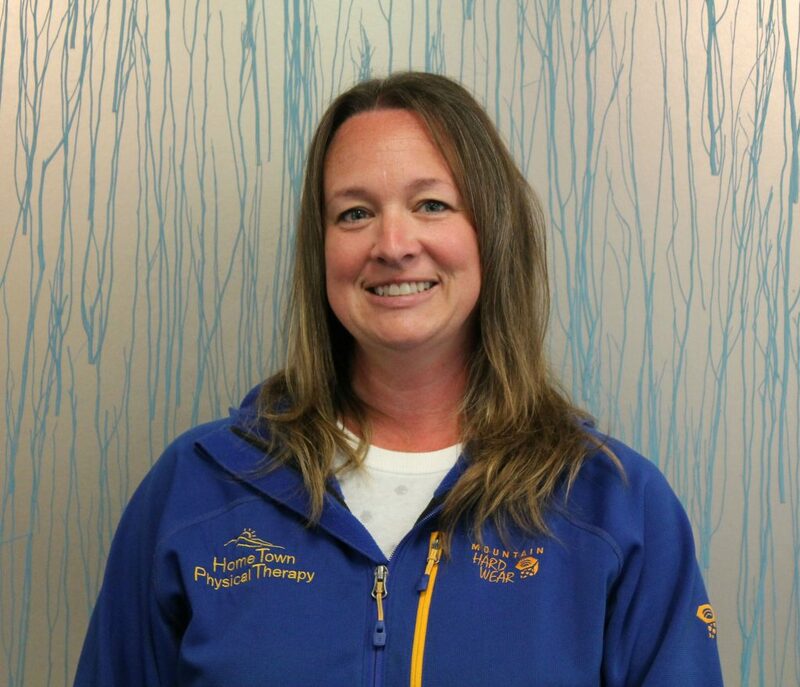 After working several years with orthopedic injuries she knew that not only was that where her experience was but also the population she loved treating, so she was looking for a similar environment in Alaska which she found at Home Town Physical Therapy. She has taken numerous classes in the diagnosis and treatment of orthopedic and sports injuries and in 2011 became a board certified orthopedic specialist. In 2012 she went on to further her education with a year long certification course in manual therapy through the Ola Grimsby Institute. When not at the clinic Jen is busy raising her three boys and enjoys watching them play a variety of sports, and spending time with her family with many of Alaska’s outdoor activities including camping, fishing, and playing at the lake. Contact us today about how we can help you reach your maximum potential!